I began this ePortfolio site as a mandatory credit for my course but over time it has become integral to my academic and professional life. I was invited to speak about my experience with ePortfolios for a video that would be used to share the platform in presentations to UBC classes. I also began speaking with students in undergraduate visual arts, First Nations and Indigenous studies, and philosophy classes as an ePortfolio ambassador on how to use ePortfolios for academic work and job searching. Going full circle, I was one of the judges for the following Arts ePortfolio of the Year 2017/18 contest! 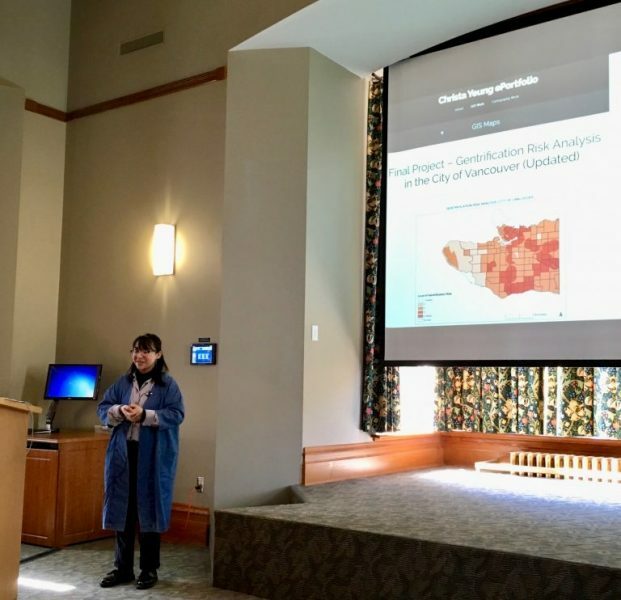 In May 2018, I was invited to speak on a panel for the CIRCLe Symposium, a one-day symposium hosted by UBC Arts and the Center of Learning, Teaching, and Technology to discuss "how learning can be processed and represented using ePortfolios and online platforms". 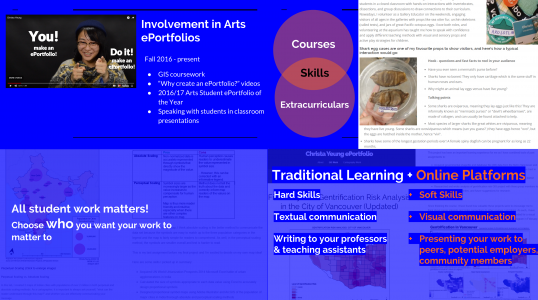 In my presentation, I reflected upon my ePortfolio journey thus far and transition from my old site which mostly showcased a linear learning path of GIS-focused works to this current site which explores a wider multi-dimensional and multidisciplinary range of my course work and extracurriculars. 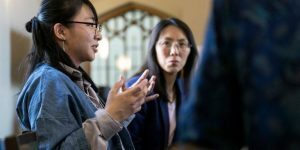 Presentations by faculty and students, followed by audience group discussions. This session addresses how learning can be processed and represented using e-portfolios and online platforms, focusing on the role of reflective inquiry. What do online platforms capture that other forms might not? How can students use e-portfolios in more critical and reflexive ways? To learn more, a recording of the presentation can be found here. 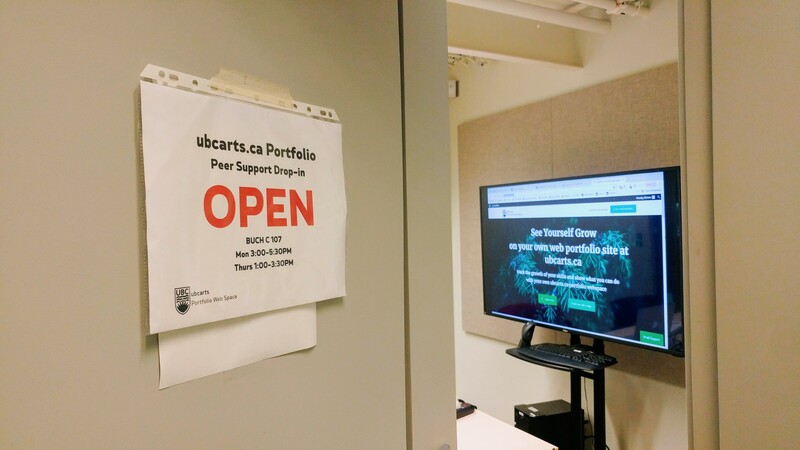 If you are a student interested in learning more about how to start or improve your ePortfolio, scroll to the bottom of https://ubcarts.ca/ to see my drop-in hours.